The cutting edge bike and clothing designs that make cyclists more aerodynamic and can make the difference between winning and losing. A professional cyclist's main aim is to reduce air resistance. New streamlined and aerodynamic bikes and clothing have been designed. If a cyclist is more aerodynamic then they will be able to cycle faster. Cyclists can reach speeds of up to 60km an hour. 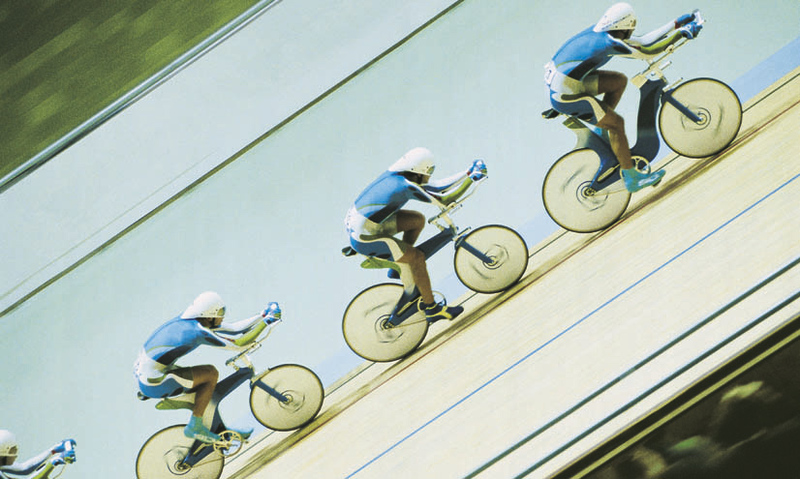 Cyclists can reach speeds of up to 60km/h, even with many forces acting against them. The main aim for a cyclist is to reduce the amount of air resistance, or drag, that is acting on them.